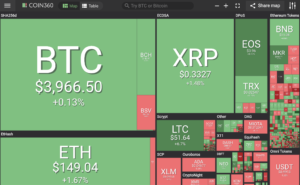 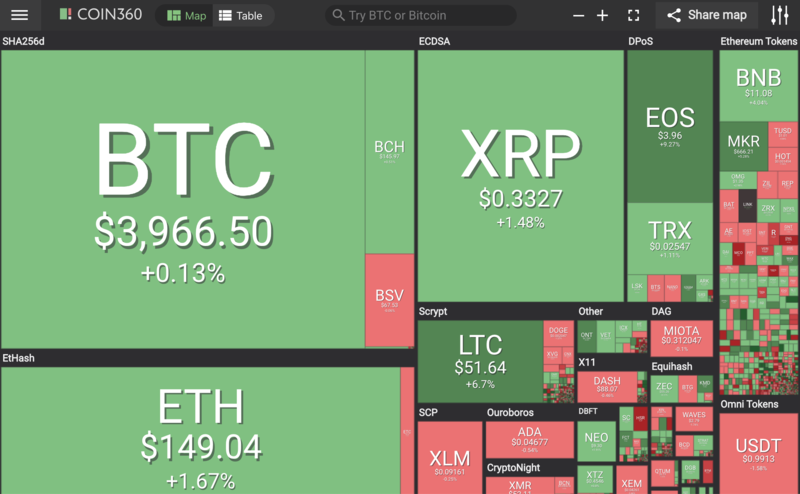 The general cryptocurrency market is mixed, however the larger big name caps are in the green: EOS (8%), LTC (6%), with KMD (9%), ONT (8%), FCT (7%), STEEM (5%) and BNB (4%) on coin360.io. 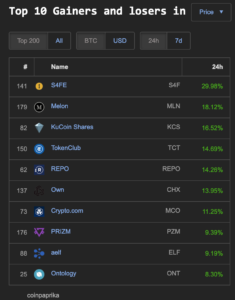 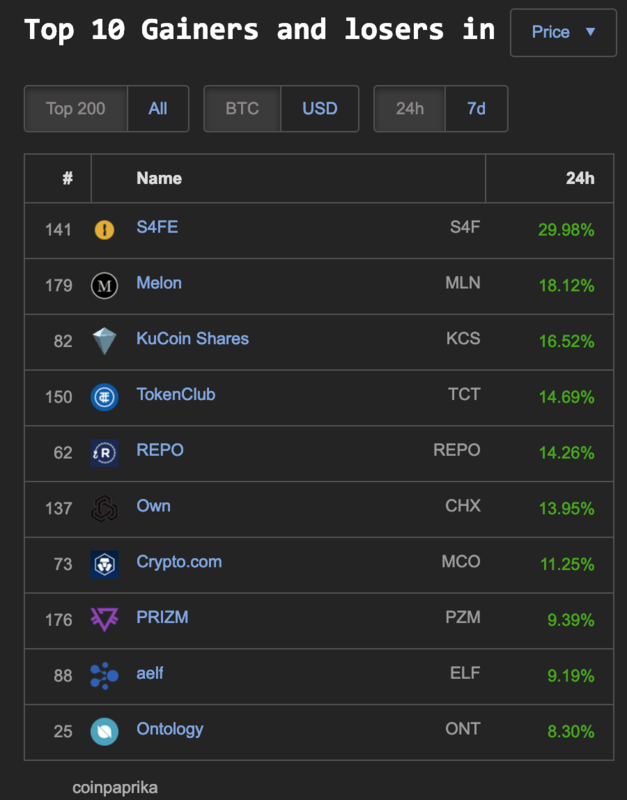 Today Coinpaprika.com has seven coins with double digit gains in the top 200 market cap: S4FE (S4F) 29%, Melon (MLN) 18%, KuCoin Shares (KCS), TokenClub (TCT) 14%, REPO (14%), Own (CHX) 13% and Crypto.co (MCO) 11%. 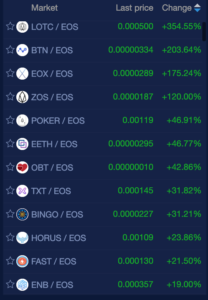 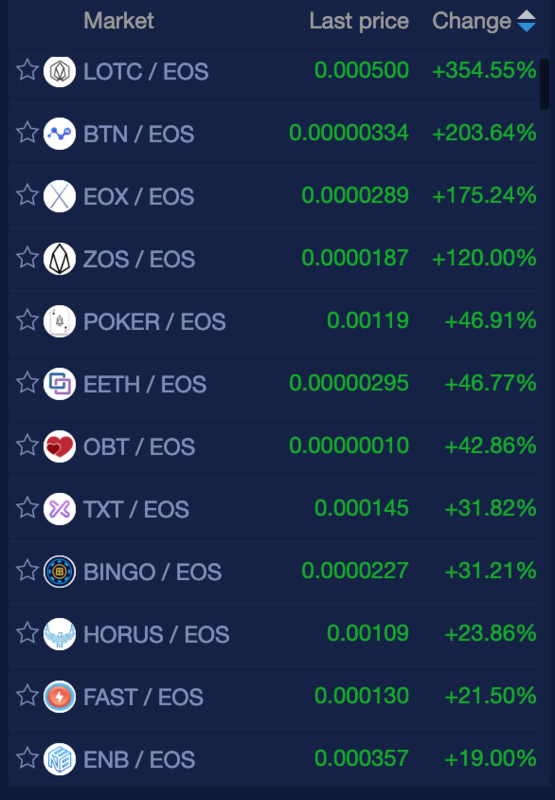 newdex.io has 4 cryptocurrency coins gaining over 100% today: LOTC (354%), BTN (203%), EOX (175%) and ZOS (120%) in addition to 8 coins with double digit percentage gains between 19-46%) that all trade with EOS.